How does string gauge affect intonation? I have a problem with intonation adjustment on my g-string on my Epiphone Les Paul. It's correct now but the bridge saddle cannot be adjusted any farther in range. I need to change strings but I don't know what strings I have now and worry that I might have problems with intonation if I buy the wrong strings. So how does string gauge affect intonation? Do I need to buy thicker or thinner strings? "What is the measurement of the G-string that you should use on your Epiphone Les Paul guitar?" The correct technical term for what you call the "width" or "thickness" or "diameter" of the string is its gauge. Take your guitar to a qualified guitar technician or luthier, or at least to your local music store, and have them examine the guitar. They can use a measuring device to tell you the exact gauge of strings that are on the guitar, or they can simply estimate it by looking at the strings. They can recommend what set of six strings you should purchase to replace the strings that are on your guitar now. They can also sell you individual strings if you don't need to replace all six. Epiphone Les Pauls usually ship from the factory with a "set of 10s", which is to say a set of strings where the highest string is 0.010 inches in diameter, and the other five strings make up a matched set of gauges that work well with the 0.010-inch string. Different sets of strings sold by different manufacturers will vary in the gauge of each individual string, but typically an Epiphone Les Paul would come from the factory with a G-string that is unwound and is 0.017 inches in diameter. 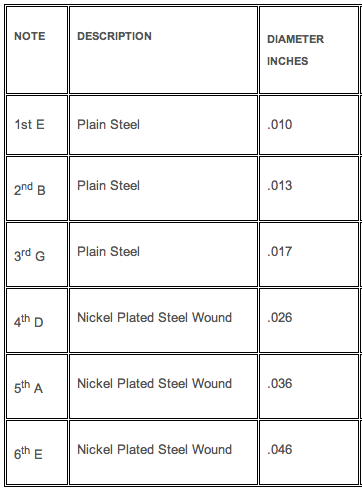 For example, below, I have provided a screen shot of a chart showing the standard string gauge specifications in a set of Gibson Brite Wires nickel-plated steel round-wound strings. This is a popular set of string gauges for a Les Paul-style guitar. you asked "So how does string gauge affect intonation?" It is not so much a question of the string gauge affecting the intonation. Rather, it is that a guitar requires several different types of adjustment in calibration to work correctly if you decide that you would rather play with heavier strings or lighter strings. Adjusting the position of the bridge saddles is only one of these types of calibration. Doing this requires a professional setup (a topic I have written about many times on this site, and something that beginning guitarists seem not to be aware of). If you want to use heavier or lighter-gauge strings on your guitar, you need to take it to a professional guitar technician and pay them (usually between $50 and $150 in the USA, in my experience) to change the calibration of several parts of the guitar, interactively, to work correctly with the heavier or lighter strings to produce proper intonation, to make sure all notes sound clearly, and to make the guitar easy to play (so that the height of the strings from the fingerboard and frets is neither too high nor too low). Adjustments and calibrations need to be made to the nut, the neck's truss rod, to the calibration and position of several mechanical parts in the bridge (particularly if it is a tremolo bridge like a Fender or Floyd Rose), and in extreme cases the frets or the fingerboard may need to be modified. In short, you are correct that it is simpler to keep the same gauge of strings that are already on the guitar. Going to heavier or lighter-gauge strings would probably throw the guitar out of its proper calibration to the extent that it would be wise to pay for a professional setup. However, be advised that from time to time your guitar could benefit from professional maintenance and a setup even if you keep using new sets of the same gauge of strings. This is because, like any precision mechanical device, guitars and their necks can go out-of-calibration and change their shape or angle due to changes in humidity or temperature or the wear and tear of your playing the instrument over the years. If your out-of-range saddle is under a plain string, you will probably be okay if you change string gauge (without changing action). If the out-of-range saddle is under a wound string, then it could go either way. Ideally speaking, gauge does not affect the intonation of unwound strings which are made of the same material and tuned to the same note in the same string position of the same guitar. This is because although there is more tension in a thicker string, the stress is the same. A string which has twice the cross area has twice the mass, and so it needs twice the tension to get to the same pitch. The result is that the stress (force per unit cross-sectional area) is the same. Stress is measured in the same units as pressure: Pascals. If the action is also the same, then it means that the elongation of the two strings is also the same due to the same geometry of the situation: when we fret either one at the same fret, we are elongating it by the same amount. Fractional elongation of a material is called strain. We are adding the same amount of strain to the thicker or thinner string, and the change in stress depends only on the strain and the material's elastic modulus. Intuitively, if the string has, say, twice the cross-sectional area, then it's somewhat as if you had two strings of the original size in parallel. Now there are going to be factors that creep in that will make some small difference, like neck relief changing under stress, the fact that the string is not an ideal string but actually a long skinny bar (and so a string with twice the area perhaps does not require exactly twice the tension to get to the same pitch), and material differences. Material makes a difference because different materials require more or less tension to stretch the same amount (that elastic modulus thing again). For instance nylon strings for classical guitars have a low elastic modulus. They strain easily under low stress and so their pitch does not change much when they are fretted. For the same reason they do not respond to string bending very well. If the unwound string is made of two materials (like via plating applied to a core) that also creates the possibility that the intonation will change, since their ratio will probably be different in the different diameter. Things are far less clear with the wound strings. The winding contributes to mass, thereby lowering pitch, but does not contribute much to the string tension, which is carried almost entirely by the core. Intonation almost certainly will change with a change of unwound gauge, or from change from plain to wound or vice versa because the thickness of the core as well as the amount of mass added from windings are changing simultaneously, and so the stress in the plain core will certainly be different at pitch, even if it is exactly the same material. Since the proportionality of mass and tension is not maintained, the intonation could go either way. So if you're changing gauges without changing action, and keeping three plain strings plain, then you can expect not to have to do much, if anything, in regard to the three plain strings if they are the same "series" from the same manufacturer (same material). The saddles for the wound ones will likely need more adjustment. I have found this to be approximately the case in actual experience, when changing among .009, .010 and .011. The theory, of course, goes out the window if you adjust action and/or neck relief. On some Gibsons/Epiphones, the saddles are triangular in section, as in a right-angled triangle. This means that it is possible to take off the saddle and turn it through 180 degrees, and the point of contact for the string will move back or forwards enough to get the extra adjustment for intonation you require. Epiphones electrics have a known problem with intonation on the G string. I am an acoustic player mostly, and it drives me up the friggin' wall. Most electric guitar players cannot hear it because they play with high gain, but if you finger pick, you can hear it. The problem is: the G string intonates fine at open and 12th fret. But play an "A" at the 2nd fret and it is off- noticeably. So, my solution was to replace the unwound G string with a wound G string. Problem solved! As a mainly acoustic player, this does not bother me in the least. YMMV. I don't know the technical reasons behind this fix. I just know it works for me - and it's simple. So... First i would like to address using heaver strings then what was issued with your eppi... Laced up and tuned puts approximately 160 pounds pull on the guitar. Going heavier is going to stress everything including your fingers. "Jimi" went as low as 8's... On a 24.75 scale gibson or chinese Eppi. could be 24,5/8 - 24, 11/16 or 24, 3/4. depending on where it came from... I own a chinese Eppi and it is fine. Changing the saddle is going to change the first fret also. The simplest correction is to tune the g string 15 cents flat (the little triangle on your chromatic tuner). Another tuning option is to set your tuner to 432 and give that a whirl (-15)... The problem is a at the first fret. A problem that is a flaw in the instrument. The guitar is a compromise with strings. The way to correct the problem would be to step the fret on the G at the first fret towards the nut. Has been done. Creates something else to contend with. Tune fifteen flat. Adjust the saddle's - fretting at the twelve. Back the tension off between adjustments. Always tune up. String height is personal. 20 Thousands of an inch of relief in the centre of the scoop (finger board) works good. I hope that this helps. To answer the question the OP asked, in most cases heavier gauge strings require moving the saddles away from the nut for proper intonation. So if your saddles are already as far as they will go, you should stick with the same gauge or go to lighter gauge. Yes, string gauge DOES affect intonation. If your bridge saddles are as far back as they can go (or a fixed bridge) and your intonation is still a couple of cents sharp, use a .001 or .002 Thinner gauge string to flatten the intonation. Conversely, use a thicker gauge string to automatically Sharpen intonation without moving the saddle(s). 2nd, don't listen to the hogwash above about wound strings having more mass than an equal diameter (gauge) plain string. The Wound string of the same gauge actually has Less Mass than the plain string. The reason is the core string plus the winding around it leaves space, which lowers the net mass of the same gauge wound string. To prove it for yourself, Try changing a plain .018 string to a wound .018 and you will instantly see that the wound string is Way flat on intonation. First check, or intonate as accurately as you can, with a Good Tuner. If you are flat on a fixed acoustic saddle, use a slightly thicker string to sharpen it up, and vice versa. IOW, you can really fine tune intonation with string gauge. You can also make a cheap acoustic sound really good. The same goes for moveable saddles on electric guitars. If the saddle is as far back as it can go and you're Still sharp, install a slightly smaller gauge string to flatten it a bit. This is for Tweak Freaks who want everything Dead Nuts On. Then order yourself a custom gauge string set from Guitarstringsonline or somebody like that for replacements. The custom set will cost the same as off-the-shelf sets and your guitar will sing. Remember, Thinner flattens, Thicker sharpens. And also remember that it's mathematically impossible to perfectly intonate a fretted instrument at every fret on every string. There will always be some dissonance. Back before the '50's, almost all G strings (3rd) were wound. When electrics became popular, lead players liked to stretch the strings a lot, causing the very thin windings to break on the frets. The solution was to go to a plain G string, but this required a lot more intonation. That's why you still see wound G's on acoustics with fixed bridge saddles, and why the saddle of a plain G on an electric is much farther back. The plain string of equal gauge has more mass, requiring more compensation. If you're primarily a lead player and you stretch your strings, use the plain string and accept the intonation and tone penalty. If you're primarily a rhythm player, use a wound G for better tone and intonation. If you're using an acoustic with a fixed bridge saddle, definitely use a wound G.
If you change your electric from a plain to a wound G string you'll need to re-intonate the G saddle by moving it forward almost to the B string saddle. The smallest wound strings are .017 and .018 for electrics, from Ball or Daddario. You don't want to go smaller than that anyway because the outer windings are too thin and fragile. But once intonated, your wound G will be much better in tune up the neck and the tone will be great. Full and partial chords will be sweet. Daddario has a regular gauge set with an .018 wound 3rd, EXL 110W, or you can buy individual strings and use your normal gauge set for the rest. -Or just buy a custom set online for the same price. As you might guess, the whole string gauge/type thing gets really involved with a 12 string. That's also another story. Another tweak requires nut compensation, which is also a whole 'nother ball game in itself. Enjoy. Not the answer you're looking for? 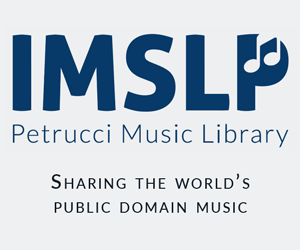 Browse other questions tagged electric-guitar strings intonation or ask your own question. Does string length affect intonation? How do I find the correct bridge to replace one that has worn out?